Kirby Fighters Deluxe is a battle-action game developed by HAL Laboratory, where the player can use Kirby's Copy Abilities. 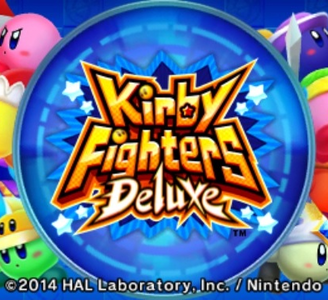 It is an upgraded version of the Kirby: Triple Deluxe sub-game, Kirby Fighters. It has improved single and multi-player modes, as well as new items and stages. Kirby Fighters Deluxe works almost flawlessly in Citra. The graphics and audio are considered perfect, and the game performs well on modest hardware.